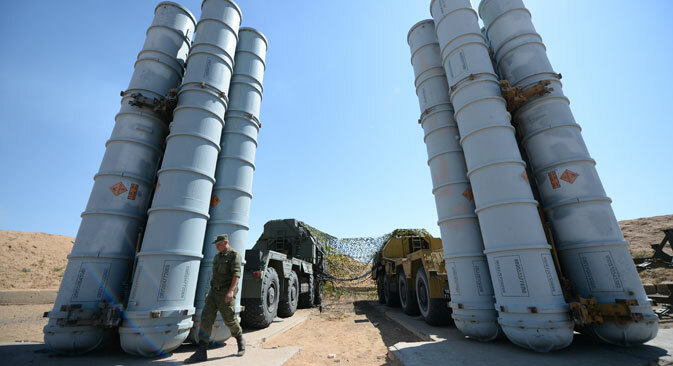 The five-year extension of the arms embargo against Iran will not affect Russia's plans to supply S-300 surface-to-air missile (SAM) systems with upgraded characteristics to Iran, a source familiar with the situation told Interfax-AVN on July 14. "The S-300 SAM is a merely defensive system which fell under the sanctions neither in 2010, when they were introduced, nor now that an agreement has been reached as a result of talks between Iran and the six mediators on the Iranian nuclear program to extend the arms embargo for five years," the source said. "Efforts continue to draft a relevant contract which could be signed once Tehran withdraws its almost $4 billion lawsuit against Rosoboronexport from the international arbitral tribunal [in Geneva]," the source said. The suit was filed after Russia was forced to cancel the 2007 contract in 2010 because of the sanctions introduced against Iran, and refunded the $166.8 million prepayment. Russian Foreign Minister Sergei Lavrov said on July 14 that despite the embargo's five-year extension, "arms shipments to Iran are possible upon completion of the relevant notification and verification procedure at the UN Security Council." In April 2015, the Russian president lifted a ban on S-300 supplies to Iran. The two countries are now negotiating the terms of a new contract. As an alternative to the S-300, which has since gone out of production, Moscow has offered Tehran a more modern SAM system, the Antey-2500. The nearly $800 million contract for the delivery of five S-300 SAM divisions was signed in 2007.